The otter is a member of the weasel family, and its body closely resembles other members of the family. 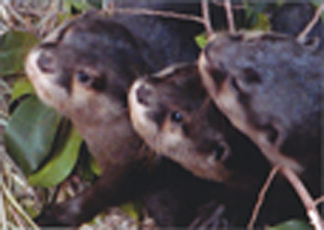 The Cape Clawless otter’s cheeks and neck are white, and its upper coat is dark brown. Unlike some otters, it has almost no webbing on its feet, which is unusual for an amphibious animal. It also has no claws, making its hands very similar to those of monkeys. It has a thick, short, waterproof coat and a sleek body shape that allows it to glide through the water. It has small ears that it lays flat when underwater and a nose that can close when underwater. Otters will eat whatever is available and easily caught. Octopus, frogs, crabs, and crayfish are easily grabbed by the Cape Clawless otter, making them a frequent part of their diet. 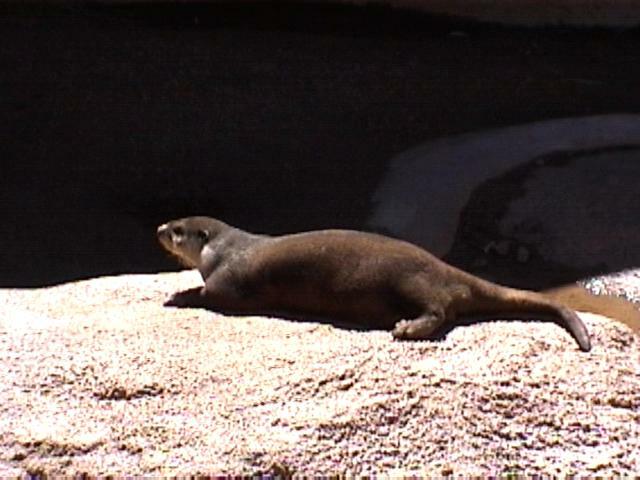 The Cape Clawless otter is found in Africa from Senegal to Ethiopia south to the Cape, although it is obviously not found in the desert areas. They are amphibious, meaning they spend part of their time in the water and part on the land. The main predator of the Cape clawless otter is the python. Otters have a strong sense of smell, and use their scent to mark their territory.